Melt the butter in a saucepan over medium heat until slightly browned. Remove from heat, and stir in soy sauce and balsamic vinegar. 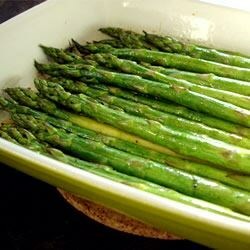 Pour over the baked asparagus to serve.